We’ve had a great Easter weekend. The weather has predictably been a little hit and miss, but overall not too much rain so I guess we could not have asked for too much more. We somehow managed to get the whole weekend to ourselves so had some great, quality family time…meals out, long walks with the dog, pottering around the garden. Lovely! We also got in a bit of shopping for fab new garden furniture and a play house for the little one. Just need to sort out when they will be delivered – both may need to wait till me and the little one get back from Australia…..must start thinking about packing as time is running out….argh!! 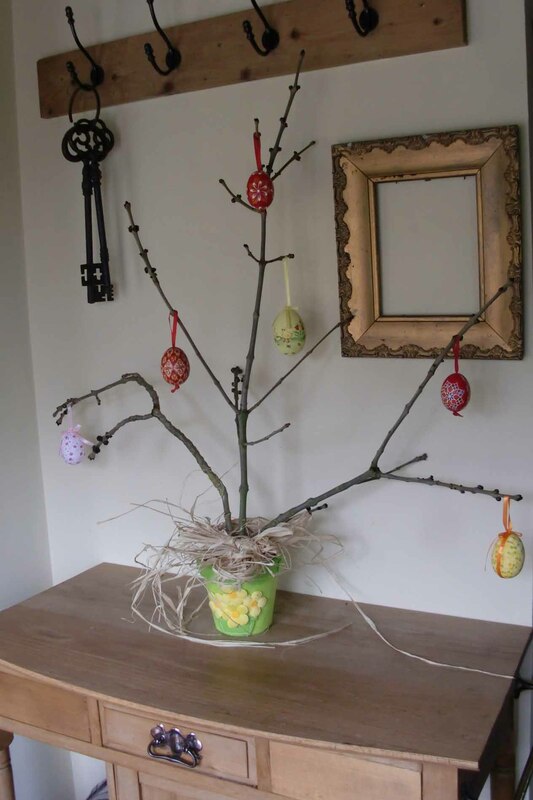 Here are some pictures of my quite sparse looking ‘Easter Tree’ that has been decorated with some eggs from my friend Laura and some kraslice (Easter eggs) that I picked up when we were in Prague a few weeks back. 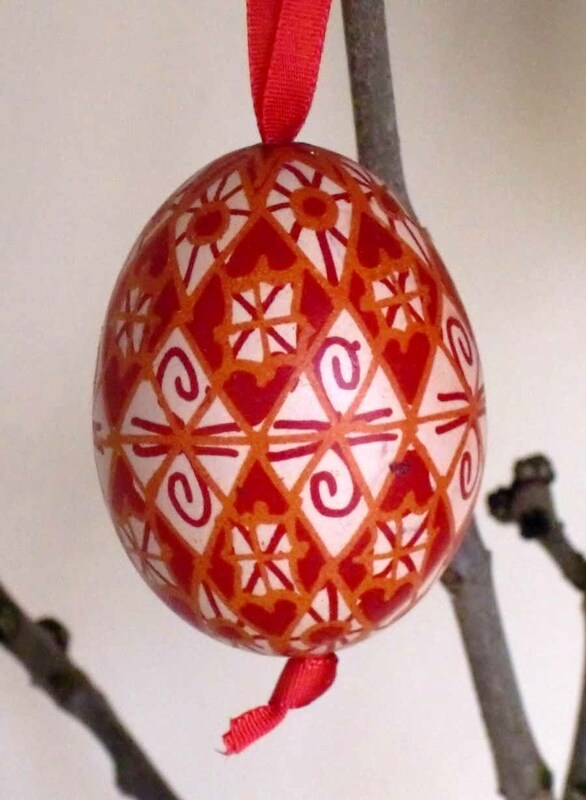 The eggs are all hand decorated with paints, bee’s wax, straw or even onion peel. 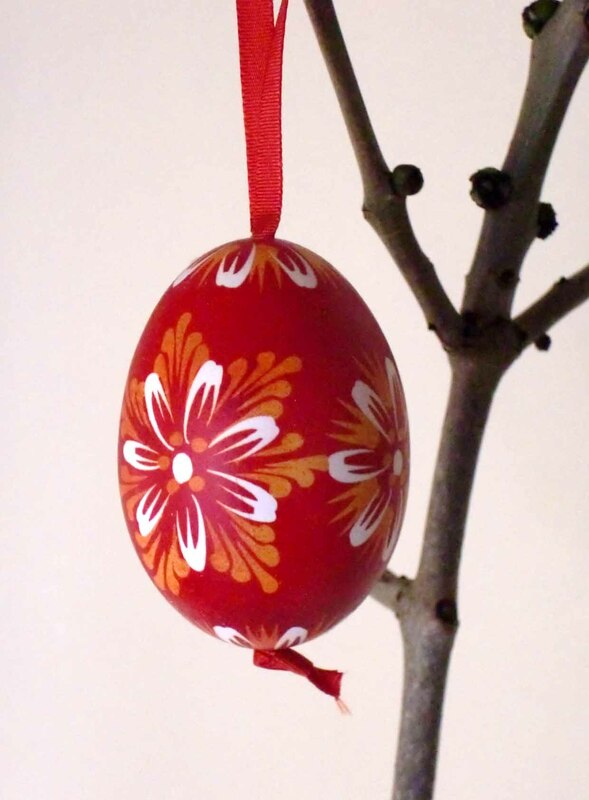 They are traditionally decorated by girls and given to boys on Easter Monday. 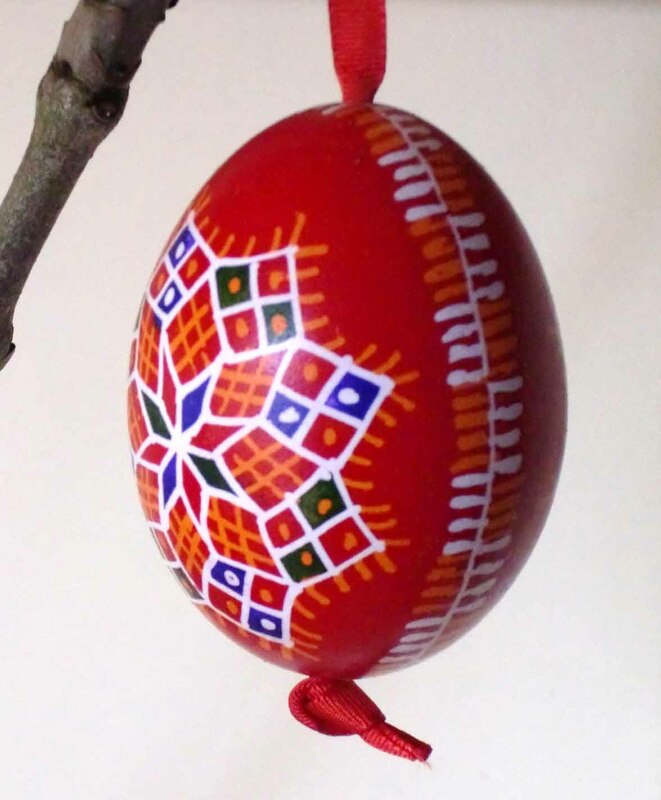 I spent my very early years living in Germany and these eggs stir some far and distant memories. I wish I’d bought a few more of them….. There has been a lot of chocolate over the weekend so it’s back off to the gym tomorrow morning!